Look at you, you overachiever you! You’re not even done with nursing school and you’re building study habits for passing the NCLEX-RN. Let me begin by by saying you’re way further ahead than many of your classmates. Preparing for and passing the NCLEX-RN is more about developing a foundation to draw upon than it is cramming for the exam. Though I still recommend following a study plan when the time comes, developing your personal study habits for passing the NCLEX-RN now will ease anxiety, reduce stress, and make the whole experience pleasant instead of miserable. Half the battle is mindset. How you approach studying is just as important as what you do. If you’re in the proper mindset, you’ll be 10x-ing the productivity of study time. When you’re too exhausted, too grumpy, or too distracted, you might as well rain-check the study sesh. Come back to it when you’re not obsessing about the rest of life. Can you look me in the eye and tell me all study places and times are equal? Heck to-the no! This is where knowing yourself is helpful. Do you study best early in the day? Late in the night? Is the library best? Or that comfortable chair in the living room? Having a place that you can sit, focus, and dig deep will improve the productivity of your study time. One of the most difficult study habits for passing the NCLEX-RN is avoiding distractions while you’re studying. The two most common distractions: 1) your phone & 2) the internet. I recommend removing your phone from sight and placing it on vibrate or turning it off completely. Secondly, the real willpower comes when trying to avoid websites like Facebook, Instagram, Pinterest, etc. You can reward yourself with visiting these sites as breaks, but while you’re studying, these sites should be off limits. The last distraction is people. Avoiding study places where people can easily distract you is important. Remember, you only have so much time in a day. Make the time you spend studying count. Me trying to avoid my phone. For me, rewriting notes or re-listening to lectures is a waste of my time. Unless the lecture is jam packed with relevant and useful detailed information (not all professors lecture this way), so much so that you physically can’t type fast enough to get it all, then you can probably copy all the pertinent information the first go around. Develop an effective note-taking technique, focus, and take great notes the first time. When you arrive to study, you’ll be ready to assimilate and draw connections and fill in gaps with supplemental information from the book and from homework assignments. This also helps when revisiting old notes to brush up on older subjects. I studied best alone. I tried several times to join study groups, go through flashcards as a group, quiz each other. Ugh! This is where knowing yourself is so important. If you don’t know, you’re going to flounder and waste time. I found that those group sessions were almost entirely useless for me. It wasn’t how I assimilated information. However, not everyone is like me. So if you find the group sessions helpful, make sure you schedules regular times to get together with your classmates to go through the info. If you’re like me, schedule time to study alone and stick with it. The last thing you need in school is burnout. The most important study habits for passing the NCLEX-RN involve taking time to breathe, catch up on rest, and recenter. This looks like taking breaks from studying at regular intervals, taking time to spend with friends, hitting the gym on a regular basis, and getting enough sleep (I’d also like to add a delicious beer or bottle of wine periodically). This habit will not only help you study for the NCLEX-RN but it will help you when you get a job as well. Burnout is a real and terrible fact of life for students as well as nurses. Build strong personal habits you can use to develop yourself into a stable and productive member of your class, your unit, and society. These habits aren’t rocket science, but you would be surprised at how many people never take the time to develop positive study habits. They find themselves being reactive and chaotic rather than proactive and calm. Who do you want to be? If you haven’t already, take the time to find out how the NCLEX-RN works and check out some of the most common NCLEX-RN myths. You can also read NCLEX-RN take-aways from my experience taking the exam. 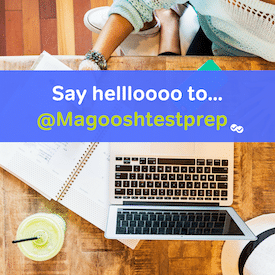 My personal profile has more great stuff, and be sure to subscribe to the Magoosh.com NCLEX-RN blogto stay updated on all things nursing related.